*Campers come to us by car. *Passages runs from August 11 – 16, 2019. The other additional offerings run from August 12-16, 2019. Our Sibling Discount applies across your family’s total tuition, and is 5% off for two siblings, 7% off for three siblings, and 9% off for four or more siblings. 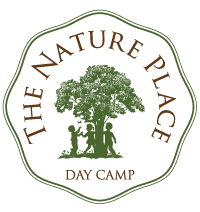 Our Camper Referral Discount is offered to families referring new campers to The Nature Place. Believing that our best advertising is word-of-mouth, and that if you like what we do at camp you’ll naturally tell others, we offer a $100 tuition credit (or $100 payment if you’re already paid in full) for each new camper enrolling in our current camp season based on your recommendation. Our Early Bird Discount is available at the end of our summer camp season for families interested in paying for next summer by October 1st to receive 10% off total tuition. This discount supersedes any sibling discounts. We offer a 10% discount for families who enroll for a full series.